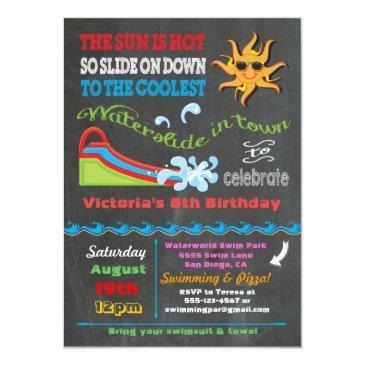 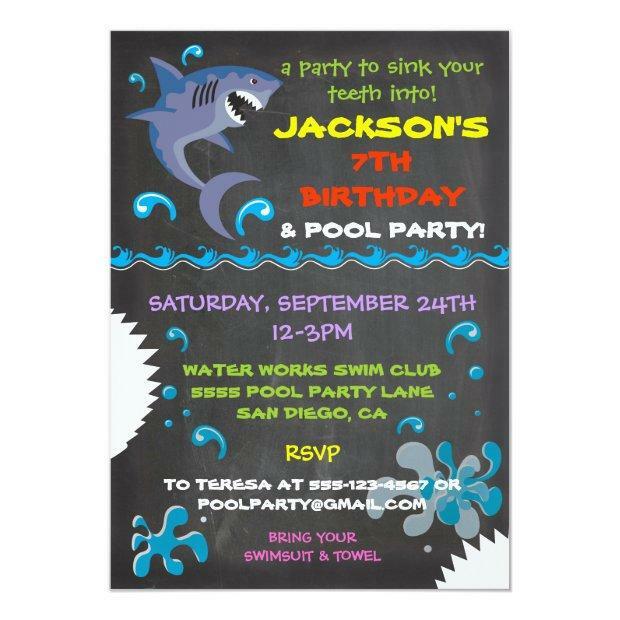 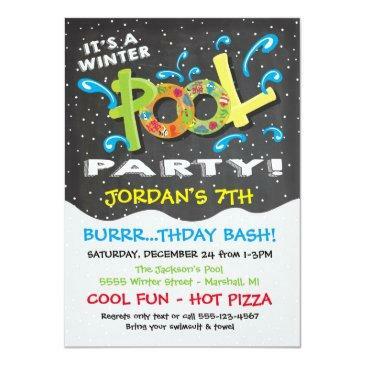 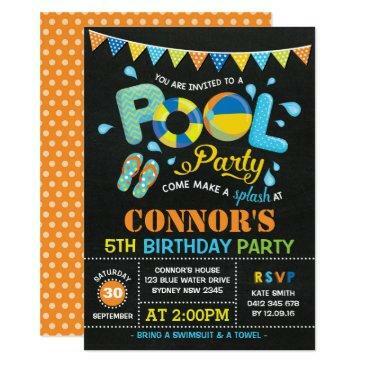 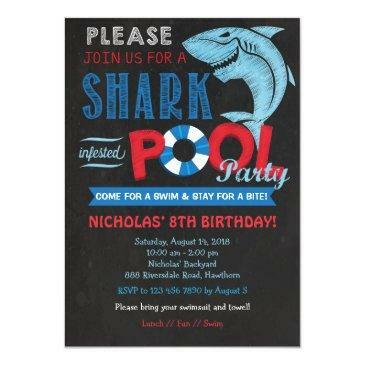 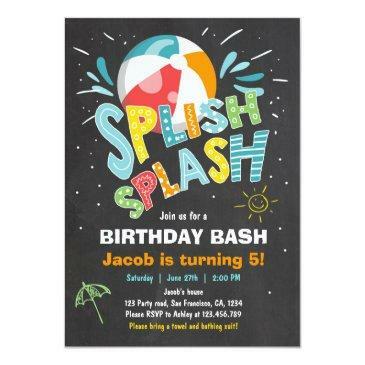 Chalkboard Shark Pool Birthday Party Invitations Take a bite and sink your teeth into this super cool shark pool party invitation. 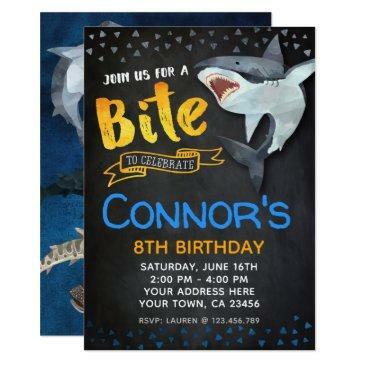 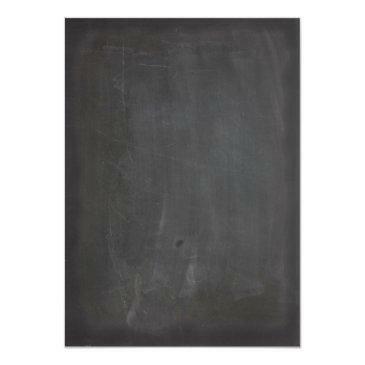 Features a jumping shark ready to attack with water splashes and colorful typography all on a chalkboard background with a couple of faux bites taken out. 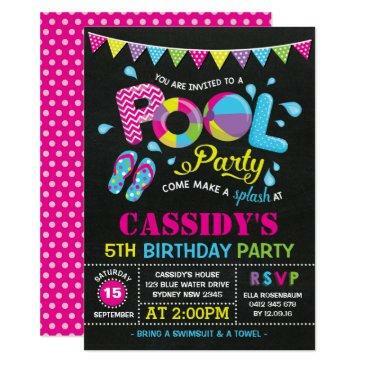 Great for a girl or a boy birthday!